A Celtic Heart Remembers - Contains pictures, music, slideshows, and history. A Tribute to Alexander and Euphemia Ritchie - Tribute to Alexander and Euphemia Ritchie and their silver art, made on the tiny island of Iona in the Inner Hebrides c.1900 to 1941. Offers history of Scottish provincial jewelry, with photos and links. Amethyst Scottish Dancers of Nova Scotia - Scottish dance group aspiring to generate interest in the world of Highland Dancing and Celtic Heritage. Features a list of upcoming events, photographs and history of the group. Ardbrae Dancers of Ottawa - Features information about this Scottish country dancing group, events, contacts, and links. Bangkok St. Andrew's Society - A non-profit organisation catering to the needs of Scottish people living abroad in Thailand. It organises ceilidhs, dancing, social, family and sporting functions for people of Scottish heritage. Brigadoonery Canada - A comic tribute to Scotland, devoted to the hilarious results that sometimes occur when people not born in Scotland pretend to be Scottish anyway. A wry look at Highland culture, music and history. Caledonian Club - Prague Scottish Country Dancers. Features contact information and event and class calendar. Also includes general information about Scottish country dancing and dance instructions. Caledonian Society of Baton Rouge - American society dedicated to the promotion of Scottish arts, history and culture in the United States. Campaign for Scottish culture in schools - Campaign to promote the teaching of Scotland's culture (especially Gaelic and Scots languages) in Scottish schools. Canadian Bagpipe Links - Provides links to Canadian websites about bagpipes. Also includes list of highland games organised by province. Celtic Green - Celtic news, fun, and history. Also features Scottish genealogy help. Ceilidh Club - Scottish country dancing in London and Edinburgh. Throws balls and events with 3 hours of full on ceilidh dancing with all the steps explained. Corryvrechan Scottish Dance Display Team - Offers displays of Scottish country, step and Highland dancing in the UK and abroad. Includes profile, repertoire, costumes, past performances and contact details. CU Strathspey and Reel Club - Scottish Country Dancing - classes are held with the Cambridge branch of the Royal Scottish Country Dance Society. Details of events and links to relevant sites. Dannsa - Scottish step dancing team. Biographies, musicians, dances, concerts, ceilidhs and education. Electric Scotland - Information on clans, message boards, online store, etc. Haggishead - North America's Scottish Portal - Resource portal for anyone interested in Scotland and the Scottish way of life. Heart o' Scotland - Articles, essays, and brief book summaries on Scotland's culture and history, including myths and legends, tartans and clans, cooking, and crafts. Hebridean Scots of the Province of Qu�bec - A history of the Scots who emigrated from the Isle of Lewis in the Nineteenth Century and settled in Qu�bec. Highland Heritage Society - Argentine society that promotes British culture, focusing specially on the Scottish heritage. Read articles on history, traditions, recipes, humor and a schedule of events and courses. In Spanish and English. Hullachan - Shoes for Irish and Highland dancing from a company in Scotland. Includes articles on injuries and correct lacing plus price lists, how to order and dealers. Jonesboro Scottish Country Dancers - Teaches Scottish dancing, located in Jonesboro, Georgia. New Hampshire School of Scottish Arts - Fostering the spirit of Scottish performing and cultural arts in New Hampshire. Classes in Scottish fiddle, bagpipes, Highland dancing, harp, and Gaelic singing. Llandovery Folk Dancing - Informal group of like-minded people who come together simply to enjoy themselves folk dancing. Dancing is usually of a British origin (Welsh, Irish, English, or Scottish) with a variation of any of these on occasions, for example: Cornish or Manx. Site is in English and Welsh. Madison Scottish Country Dancers - A social group dedicated to learning and dancing the traditional reels, jigs, and strathspeys of Scotland. List of events, photographs and links to related organizations. Northern California Highland Dancing Association - Non-profit organization managed by parents of active Scottish Highland dancers, and supported by member Highland Dance teachers throughout the Northern California area. Omaha Folk Music, Dance, and Culture - Listings of venues for folk, contra, Scandinavian, Scottish, and Irish dancing. Also lists venues for bluegrass, folk music, and dulcimer concerts. RSCDS - Stirling branch - Branch of Royal Scottish Country Dance Society in Stirling, Scotland. Covers history of Scottish country dancing, information and pictures of classes and social events. Royal Scottish Country Dance Society - Bristol - Offers Scottish dancing with classes for all and regular dances. School of Scottish Art - Originally a summer school offering dance, piping and drumming, now offers a wider range of activities year round. Based in Winnipeg. Scone's Scottish and Celtic Internet Book - History, facts and pictures of Scotland and its inhabitants. ScotChat - Online community for Scottish people at home or abroad. 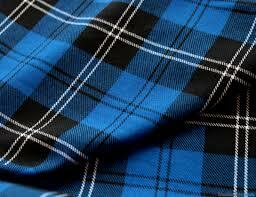 Offers discussion on Scottish topics including culture, language, music, and cuisine. Scots in London - SIL is an umbrella organisation for everything Scottish in London: people, businesses, clubs and societies, charities. Scottish Country Dancing in Northern Ireland - Information on Scottish Country Dance classes and events in Northern Ireland. Includes details of Scottish ceilidhs and ceilidh bands. Scottish Country Dancing in Vancouver - Information about the Vancouver Branch of the Royal Scottish Country Dance Society, as well as a group contact list and a calendar of events. Scottish Dance Shoe Company - Manufacturers and suppliers of Scottish deerskin pumps and ghillies, including a split sole pump. Lancashire,UK. Scottish Dancing Toronto - Offers Scottish country dancing lessons and events in Toronto, and lists similar events in nearby cities. Scottish Society of South Eastern Wyoming - Social group who enjoy good company and a common interest in Scotland and all things Scottish. Seelie Court - Irish, Scottish, English, shanty, folk, traditional, drinking, singing, dancing, and having fun kind of a band. Profiles of members, gig-guide, and audio samples. St Andrews Shoemakers - Scottish, Irish and Highland dance shoes including ghillies, brogues and pumps, jazz, jig and reel shoes, plus bespoke. Scotland. The Blood is Strong Forum - A discussion forum for Scots and Scottish expats. The Canadian Scottish Regiment (Princess Mary's) - Contains information about the Regiment and its history. Also included are photographs of the museum. The Heather and The Rose Country Dancers - Network of groups dancing English and Scottish country dances. Information about activities, terminology and membership. The Inter-city Scot - An information source about Scottish country dancing activities in Canada and the United States. The Language of Traveller Storytellers - An account of the Scottish Traveller community, well-known story-tellers, and their use of language. The Scottish Australian Heritage Council Inc - Organisation for all Scottish descendents. Information on events and outings. The Thistle Club of Scottish Country Dancing - Affiliate of the RSCDS in Eindhoven, the Netherlands. Information about classes and events, a photo gallery and a list of Scottish Country Dance groups in the Netherlands. Travelling People - A collection of resources on Highland Travellers, their origins and culture, designed for school use. Wendy's World - Information about Highland games and festivals, Celtic musicians, and Clan Hunter, with image gallery. X Marks the Scot - Forum dedicated to the kilt, with rooms on traditional and modern kilts and advice.